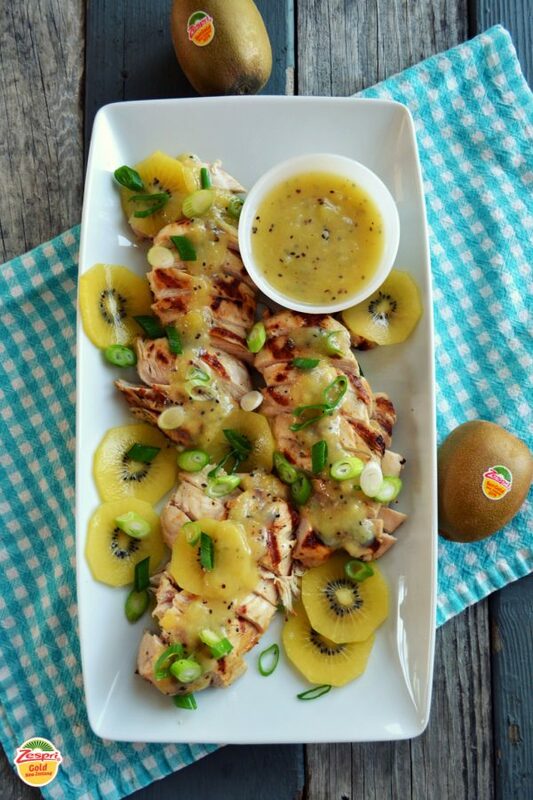 Sweet and tangy, this grilled chicken dish demonstrates the delicious diversity of ZESPRI® SunGold kiwi. 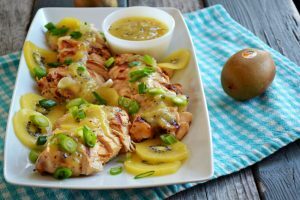 Good in fruit salads and sweet treats, golden kiwi is equally delicious served alongside anything from the grill, such as these marinated boneless chicken breasts. Serve with the sauce poured on top or on the side for dipping, then add a simple summer salad and dig in. Place the chicken breasts snugly in a dish with sides, such as a 9-inch (2.5 L) square baking dish or loaf pan. In a small bowl, whisk together the olive oil, lemon juice and oregano. Pour over the chicken. 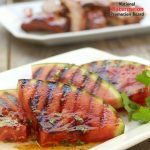 Cover and allow to marinate for 1 hour at room temperature (or longer in the refrigerator, if desired), rotating once to marinate evenly. With the grill on medium heat, cook the chicken breasts 6 to 7 minutes until they are no longer sticking to the grill. Flip the breasts and cook another 6 to 7 minutes on the other side until cooked through. Remove from the heat, transferring the chicken to a dinner plate to rest and retain juices. 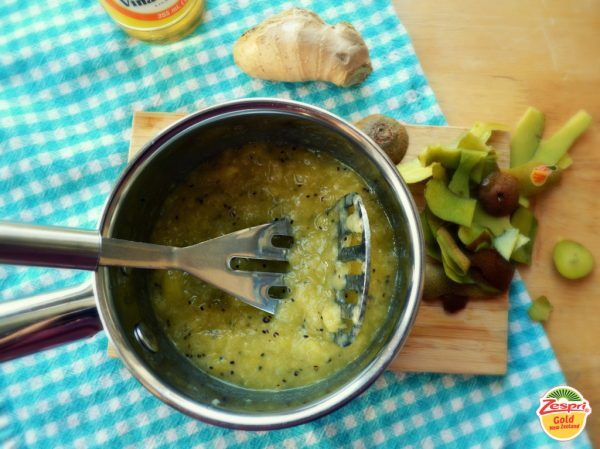 In a small saucepan, crush the chopped kiwi with a masher until relatively smooth. Whisk in the vinegar, ginger, garlic, cornstarch and salt. Set over medium-high heat on the stove and bring to a boil, stirring frequently. Allow to boil for about 30 seconds, still stirring. Remove from the heat. 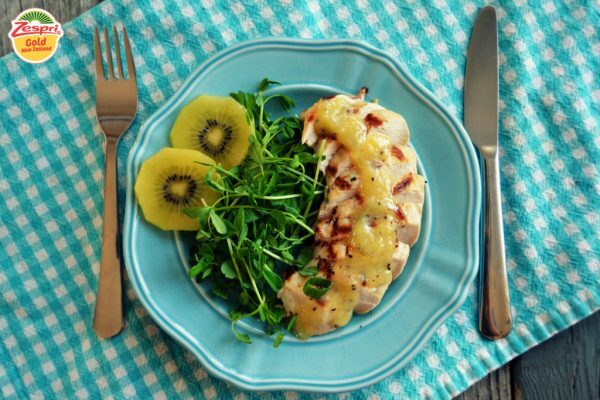 Slice chicken breasts and serve with warm sauce poured over top or on the side for dipping. 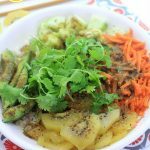 Garnish with additional rounds of golden kiwi and green onions, if desired. Click to learn more information about our recipe sponsor, ZESPRI®.